CEO leadership style is relevant for employees’ attitudes (e.g., Wang, Tsui, & Xin, 2011) and organizational performance (e.g., Ling, Simsek, Lubatkin, & Veiga, 2008b). 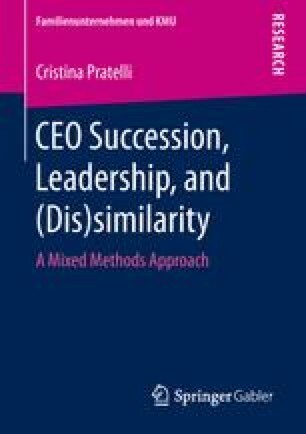 When a CEO succession, as the formal change of this leadership position, occurs, there are many changes which follow this event (e.g., Barron, Chulkov, & Waddell, 2011; Friedman & Saul, 1991; Kesner & Dalton, 1994) and it is likely that stakeholders will question how the new CEO will behave. Leadership style (dis)similarity, as the extent to which the new CEO leadership behavior is similar to that of the previous CEO, is the phenomenon under investigation in this thesis.